Relaxed atmosphere and plenty of seating inside and outside, but with enough room left to stand if it gets crowded. The food menu is quite extensive. Cold cuts and cheese platters are 120rmb, and lasagna, salads, wraps, panini, focaccia, and even some vegetarian options are around 65rmb. 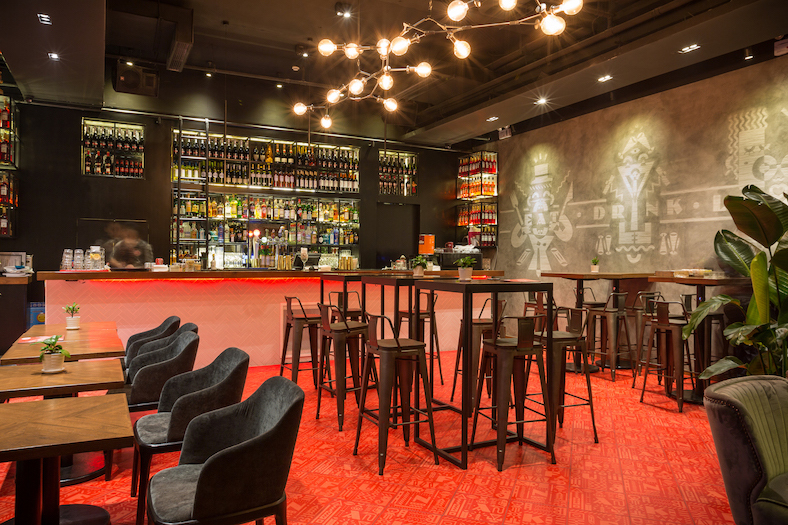 Draft beers such as Estrella Damm, Maredsous Blonde, and Goose Island are 35-60rmb. Wine by the glass is 30-40rmb. They've got the essential cocktails as well as a few interesting takes from 50-65rmb. All in all, these prices are alright. An afternoon here isn't going to remind you of Venice, but it certainly is pleasant. Any cicchetti, Italian snacks, for 10rmb each on Tuesdays from 6-10pm. That's it, that's all. Buy one get one on any pizzas at Funkadeli on Monday nights. 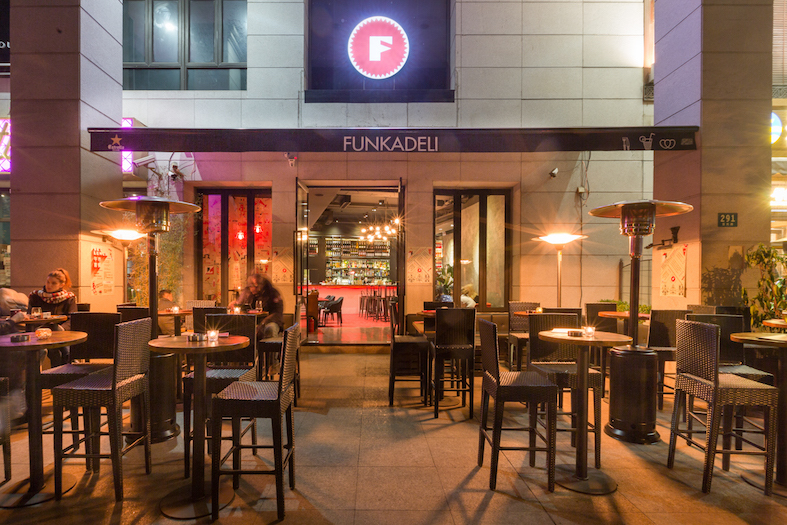 Happy hour all night long (until 1am) at Funkadeli to send off 2018 and ring in the new year. 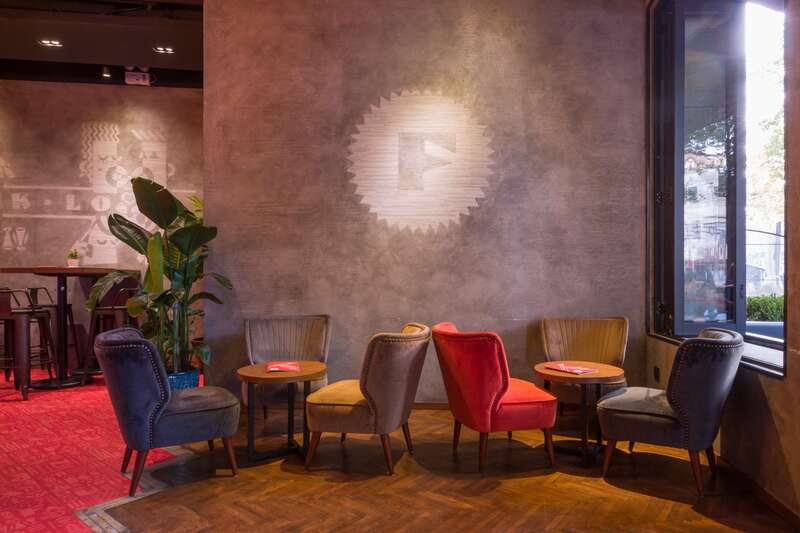 Italian aperitivo bar Funkadeli Fumin Lu is celebrating its two-year anniversary with a big party. Negronis and Superspritz overfloweth! Food and drink tickets are ¥100 for three, exchangeable during the event.